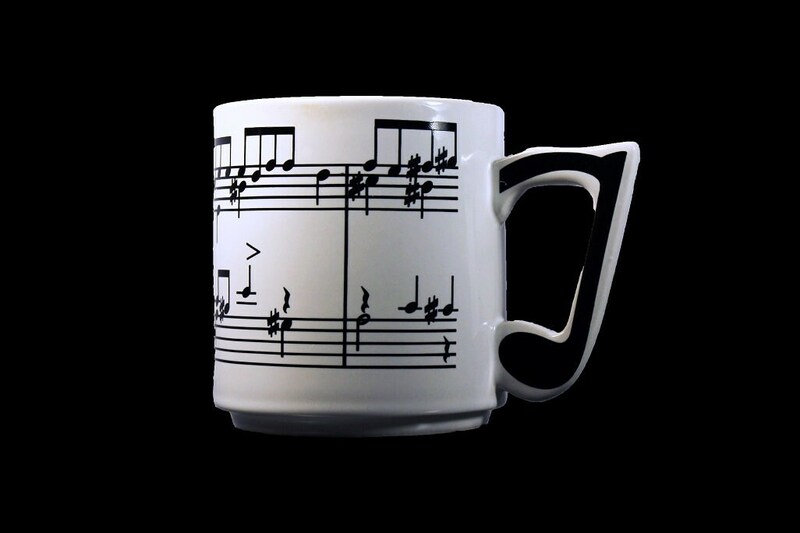 A fun and charming novelty coffee mug by Chadwick Miller. 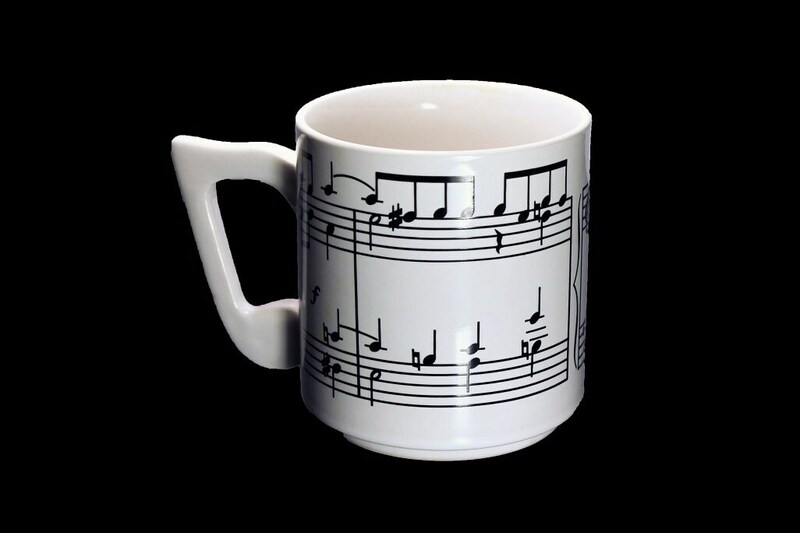 The pattern is of sheet music with a musical note handle. 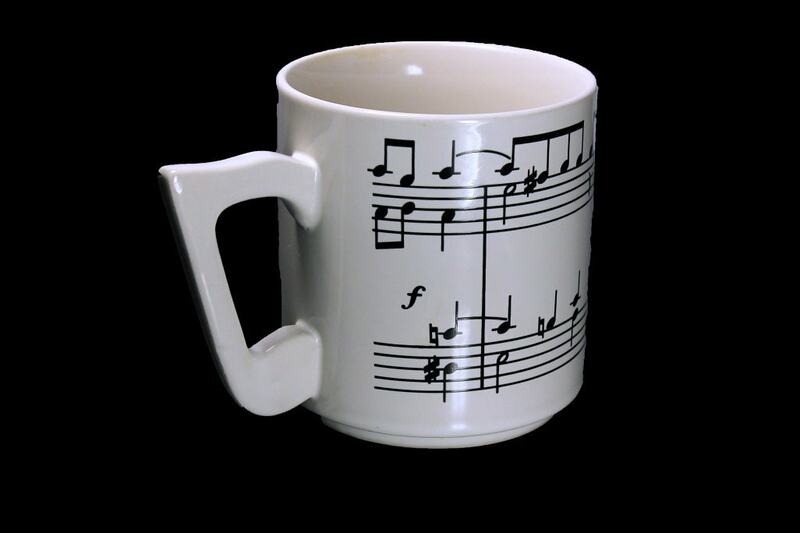 This mug would be a great gift for a music lover or musician. 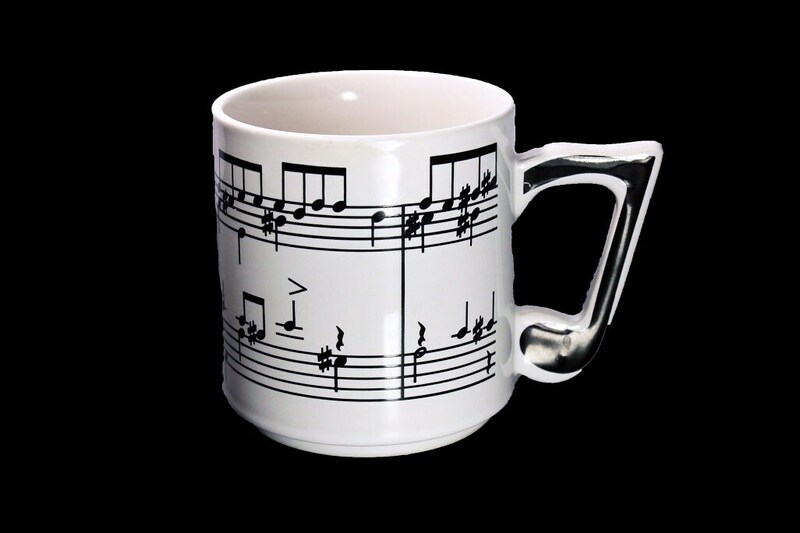 It will brighten the day as music brightens the soul. The cup is black and white. 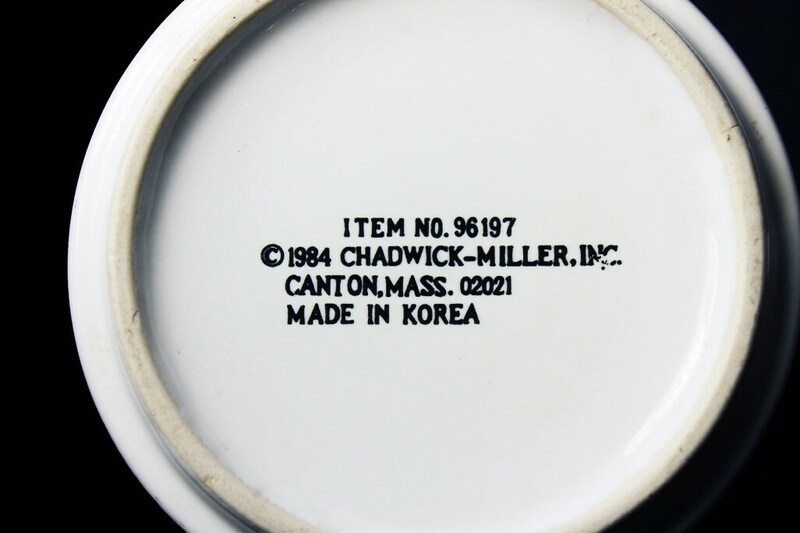 The mug is in excellent condition. There are no chips, cracks, or crazing. 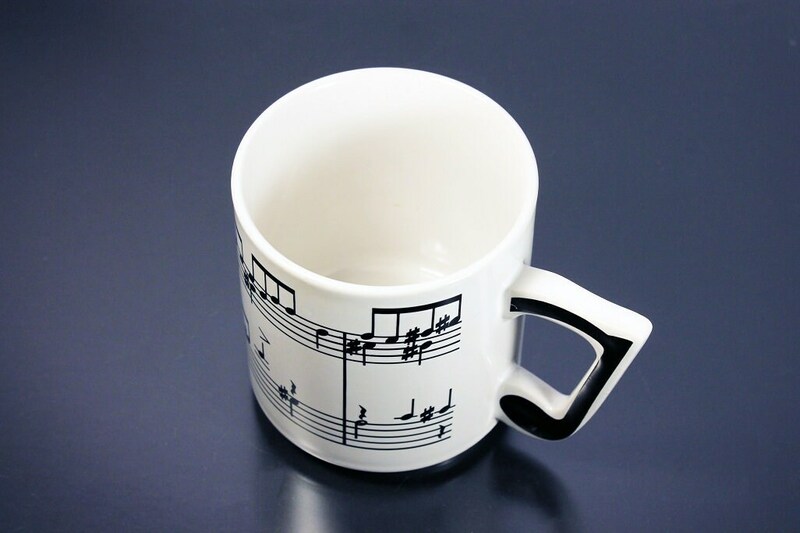 A perfect gift idea for a music lover!